Longitudinally Extensive Transverse Myelitis (LETM) or Longitudinally extensive spinal cord lesions (LESCL) is a neurological condition characterized by a contiguous inflammatory lesion of the spinal cord. It is a frequently devastating clinical syndrome closely associated with Neuromyelitis optica (NMO). It is defined as a spinal cord lesion that extends over three or more vertebrae where abnormal T2 signal traverse at least 3 vertebral body segments. NMO is also known as Devic's disease. It is an auto immune disorder in which immune system cells and antibodies attack the optic nerves and spinal cord and may also attack the brain. It is a relapsing and remitting disorder. It is very important to prevent attacks else the relapse causes new damages to the optic nerves and spinal cord which can lead to complete disability. According to Ayurveda, most of the neurological disorders are due to Vata or Kapha imbalance in the body. LETM is a neurological disorder caused by inflammation across both sides of one level or segment of spinal cord. Myelitis means inflammation of spinal cord and transverse means position of inflammation which is across the width of spinal cord. Symptoms of LETM may evolve over several hours to several weeks. Localised lower back pain is one of the initial symptom. The damage to the optic nerves can cause pain and loss of vision along with other sensory disturbances or loss of sensation. One may feel numbness, burning sensation and even coldness. Sensation to pain and slight touch gets impaired. It is common to have sensation of pins or needles travelling up from feet. A sharp shooting pain radiates down the legs or arms or around torso. The damage to the spinal cord causes weakness or paralysis in legs and arms. Pain can suddenly begin in the lower back. One may feel something tightly wrapping the skin of chest, abdomen and legs. These symptoms are attributed to lumbar lesions that account for about 10% of the cases. One may feel that their legs are heavier than normal and have to drag them. Hand and arm coordination is also affected. Bladder and bowel dysfunction and in some cases sexual dysfunction. There is increased frequency to urinate or have bowel movements. In some cases constipation is experienced. Respiratory failure in severe cases. This is attributed to the cervical lesions which accounts for about 20% of the cases. Less common symptoms include fever, headache, loss of appetite. Fear, frustration and anger leading to depression is also seen. Transverse Myelitis is a syndrome and not a specific disease with a single cause. It is a heterogenous condition. Small lesion affecting just the outer parts of the spinal cord mainly occur in patients with multiple sclerosis. The first indication is partial transverse myelitis in this case. It is considered to be produced by some underlying condition that produces MS plaques. The other group is the patients with more severe form of transverse myelitis. They have lesion in the spinal cord extending over the length of three to more vertebrae. It can be due to NMO-IgG autoimmunity in NMO cases. It is also known to be caused by infections which can be either viral or bacterial, immune system disorders, demyelinating diseases. It can also be due to spinal cord injuries or any vascular disorder that impedes the blood flow through the spinal cord. A neurologist gets the complete medical history of the patient and gets a number of tests done to confirm the problem. Spinal MRI, Brain MRI, X rays and CT scan is performed. The presence of NMO-IgG antibody is checked during serological testing. Blood tests are performed to rule out various disorders like HIV, syphilis, vitamin B12 deficiency etc. High doses of cortisone and other steroids are given to relieve the symptoms. Plasma exchange is known to be very effective in attacks of LETM and also in patients with LETM and optic neuritis attacks who have NMO. 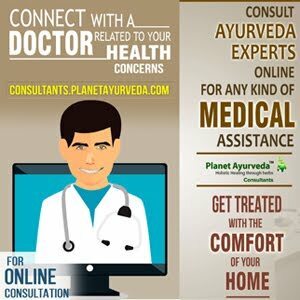 Ayurvedic treatment is considered most promising treatment for neurological disorders. These capsules are prepared from the standardized extracts of tow herbs Boswellia serrata and Curcumin (Curcuma longa). Both the herbs have remarkable medicinal properties. They are anti-inflammatory herbs and helps in fighting against the complication of CIDP. The product helps in controlling pain, swellings and acts as an immune booster. The medicine is good for all kinds of joint pains, sprains and helps in fighting cancer. Dosage: The recommended dosage of Boswellia Curcumin capsules is 2 capsule two times a day with plain water after meals. These capsules are prepared from the herb called Gotu Kola or Centella Asiatica. The herb helps to improve brain and nervous system function as well as reduces inflammation of nerves. It is used to fight fatigue, depression, anxiety and aids in improving memory and intelligence. Dosage: The recommended dosage for Gotukola capsules is 2 capsules twice daily with plain water after meals. These capsules are made from Brahmi herb with is considered a wonderful brain tonic in Ayurveda. It has calming effect on nerves. It helps in pacifying Vatat and Pitta doshas along with improving neuron degeneration. The herb is a powerful antioxidant and a neurological tonic. Dosage: The recommended dosage for Brahmi capsules is 2 capsules twice daily with plain water. These capsules, as the name suggests, helps in relieving stress and anxiety. It is a combination of wonderful herbs like Ashwagandha, Tagar, Brahmi and Jatamansi. These herbs are known for their anti-inflammatory, antioxidant, anti-tumor, anti-stress, rejuvenating and immune modulatory properties. The medicine helps in balancing the Vata dosha thus enables in fighting depression and improving concentration and retention ability of the patient. The medicine also works towards calming the nervous system and enhancing the mental and physical performance of the patient. Dosage: The recommended dosage for Stress Support Capsules is 2 capsules twice a day with plain water after meals. These capsules are made from the pure extract of "Ashwagandha" herb also known as Withania Somnifera. The medicine is an excellent immuny and energy booster. It enhances the physical and mental capabilities of the body. The medicine works towards balancing the doshas by eliminating excessive toxins out of the body. The medicine helps in reducing the stress and anxiety levels of the patient. Ashwagandha herb is known for its anti-stress and adaptogenic action leading to physical fitness. It stabilizes the blood sugar and also lowers the cholesterol. It has natural rejuvenating properties that helps in maintaining nourishment of the tissues. Dosage: The recommended dosage of Ashwagandha capsules is 1 to 2 capsules twice a day with plain water after meals. 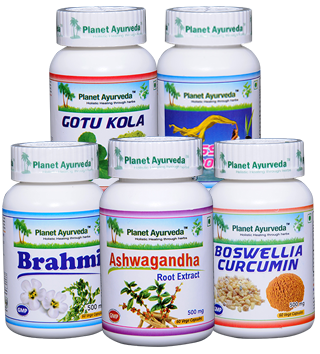 Planet Ayurveda's products surely provide hope to the patients along with long term benefits. Rookhsana Karma or dehydrating therapy is also an effective option to manage the symptoms of LETM. A diet low in saturated fats is recommended. Sunflower seeds, safflowers, evening primrose oils are good. It is advised to increase the intake of Vitamin B12, vitamin C. Yoga and Meditation are very beneficial.